OK, well firstly, I hope everyone had a peaceful and enjoyable Christmas – though, strictly speaking, it still is Christmas, and will be till the 6th of January – and found some time to wind down from the rigours of work, etc. Just in case I forget, a very Happy and Healthy New Year to you all for 2015. May it be a blessed one. Yesterday, I finally got round to seeing The Battle of the Five Armies, the final part of Peter Jackson’s trilogy of films adapted from JRR Tolkien’s The Hobbit, and I thought, while it was still fresh in my mind, that I might jot down a few thoughts about the series as a whole. Much has been written elsewhere of how turning a book of only 273 pages (in my edition at least) into three long films smacks of self-indulgence. Does it? Well the obvious answer is – of course it does! Of course it’s self-indulgent. And, let’s be honest, slightly cynical – three films means three sets of tickets sold rather than one. I’m not decrying the movies by saying this – I would have thought it was self-evident to anyone with even a cursory knowledge of how Hollywood works. So if a trilogy makes economic sense – to the studio bosses at least – does it make creative sense? Personally, I felt that, even with the addition of material from other Tolkien sources – the LOTR appendices, The Silmarillion, his unfinished writings, etc. – the films seemed padded. And Jackson and his team then decided to add material of their own – notably the character Tauriel, and her invented romance with Kili, and expanding the role of certain characters, such as Bard. I can see why they decided to do this, and why they altered other aspects of the story to make them better fit their vision, but overall it left me dissatisfied. Jackson was apparently reluctant to direct the films initially, as he was worried he would be competing against himself, and I’m afraid to say I think his fears were probably justified. The visual trademarks (the camera plunging like a rollercoaster into cavernous valleys, characters climbing up/down precipitous ledges, slow motion action sequences accompanied by sombre choral music) and narrative tone (long, long build-ups where the protagonists reflect at great length on their destiny/fate, followed by scenes of pretty fierce violence, with a dash of comic relief thrown in to leaven things out a bit) that seemed so fresh on the Rings movies, now seem stale a decade on. To be fair, this isn’t entirely Jackson’s fault – it may just be that The Hobbit, which is after all a children’s adventure story about some dwarves going to find some gold, is not suited to the full epic treatment that worked so well for The Lord of the Rings, with its more complex themes of war, betrayal, death and resurrection. Yes, the two books are related, but only tangentially – they make more sense if you read them as two (almost) separate stories. On the plus side, the performances – especially from Martin Freeman as the title character – are excellent, there are scenes which are genuinely exciting, and New Zealand looks fantastic, as it always does through Jackson’s lens, his design team blending the real and imagined seamlessly. But, for this reviewer at least, it just wasn’t enough to stop the nagging doubts. 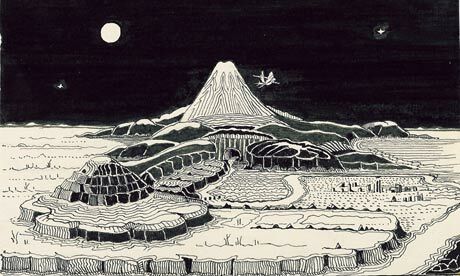 There are moments in the Hobbit movies where you can feel Jackson straining for the epic grandeur of his earlier trilogy – the confrontation at Dol Guldur, for instance, or the death of Thorin Oakenshield – but there is nothing here that has the power or emotional heft of the charge of the Rohirrim at the Battle of the Pelennor Fields, or the death of Boromir, or the final destruction of the Ring at Mount Doom. One can’t help wondering what Guillermo Del Toro, The Hobbit‘s original slated director, would have done with the films – but that will remain one of the What Ifs? of fantasy cinema.